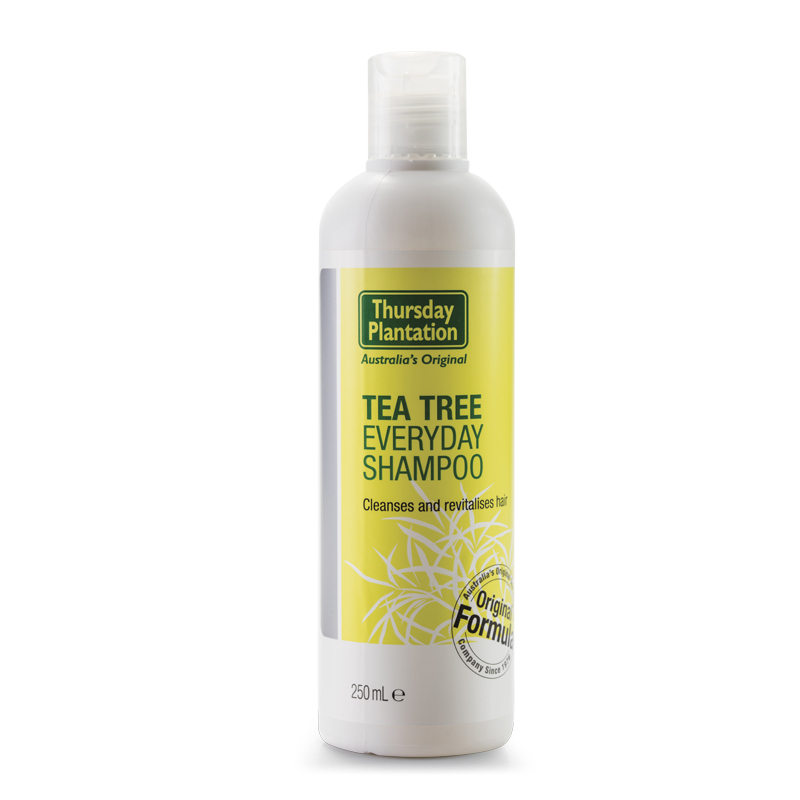 Thursday Plantation Tea Tree Everyday Shampoo combines the power of Tea Tree Oil with gentle cleansers to purify and revitalise the scalp for strong, healthy looking hair. Gently massage shampoo in wet hair and scalp. Rinse thoroughly. Repeat if necessary. For extra care , use in combination with Thursday Plantation Everyday Conditioner. Not recommended for chemically treated hair. Water/Aqua, Ammonium Lauryl Sulfate, Cocamide DEA, Melaleuca Alternifolia Leaf Oil, Fragrance/Parfum, Sodium Chloride, Citric Acid, Limonene. Discontinue use if sensitivity occurs. Avoid contact with eyes. For external use only.